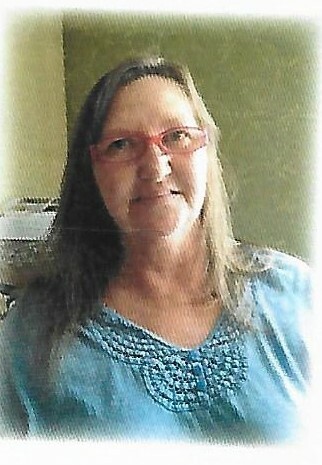 Hagerstown, MD – Dawn Cherie Mason Brezler, 57, of Hagerstown, MD passed away on Wednesday, March 20, 2019 at her home. She was born on March 29, 1961 in Hagerstown, MD to the late Leslie James Mason, II and Emma Jean Byers Divelbiss. She attended Williamsport High School Williamsport, MD. Dawn was the Manager of Ryan’s Restaurant for many years. She is survived by her son Claude “CJ” Varron of Greencastle, PA; grandchildren Taylor Butts, Trentin Butts, Trenity Butts, Kellan Butts, River Varron, and Caius Varron; sister Lynn Love and her husband Allen Love of Florida; sister Bobbi Jo Ayers of Falling Waters, WV; sister Patty Ayers of Hagerstown, MD; sister Jenny Spoonire and her husband David; brother Jamie Mason and his wife Sherry of Falling Waters, WV; brother Jack “Pudge” Mason and Beverly of Fairplay, MD; brother John Mason and his wife Chris of Williamsport, MD; numerous nieces, nephews, and cousins. She was predeceased by her son Troy M. Butts.